Lovely soft colors of champagne and pink with yellowed ivory in this handmade necklace. 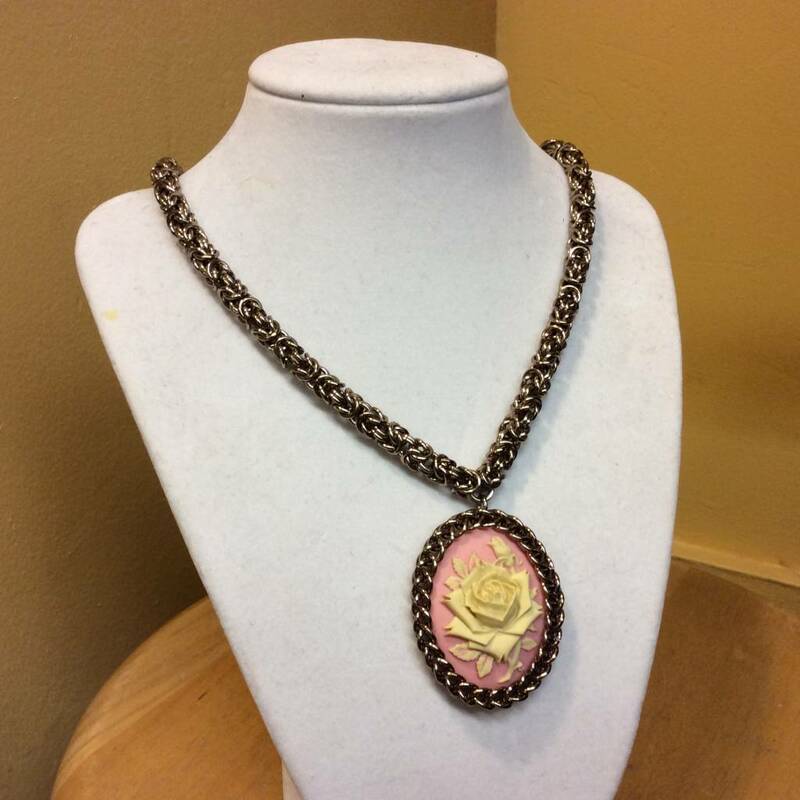 The chain is a byzantine link chain, and suspends a cast resin cameo of a pure single rose in bloom. The cameo piece is framed with champagne chain links as well. Made of lightweight anodized aluminum links. 16" byzantine chain with a 5" extender & Lobster clasp. Oval pendant piece measures 2" x 1".